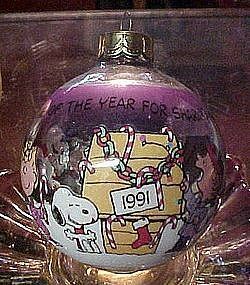 1991 hallmark glass ball ornament featuring Snoopy Charlie Brown and the peanuts gang. They have just decorated Snoopys doghouse for Christmas. Great used condition with gentle wear. 3".